Description: This two dollar bill looks just like others that were issued in 1875 and 1878. It is not a very popular bank note, but it is of course needed if you are going to collect by year and denomination. It is certainly still valuable and collectible. 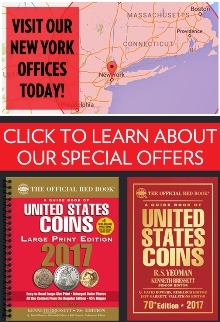 Seal Type: Each 1874 $2 bill has the same red treasury seal as you can see on the example above. Varieties: Allison and Spinner signed all 1874 $2 legal tender notes. There are no varieties outside of your standard serial number and plate number differences. Value: The typical range for an 1874 $2 note is about $200 to $800. 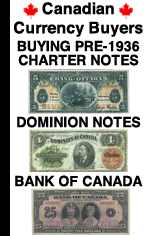 Notes with condition issues like rips or tears could be worth less money. 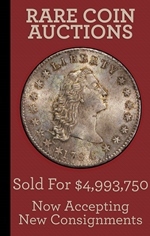 Needless to say, something in choice uncirculated condition is rare and worth well over $800. Please contact us for exact pricing information. 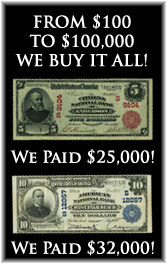 We buy all of these 1874 $2 bank notes issued by The United States. The main factors that affect the value are the condition and sometimes the serial number. We have to see pictures in order to provide any value information. You can text pictures to 864-430-4020. You can also attach pictures to an email message. You’ll never know what we would have offered unless you ask. The value might surprise you in a good way.